Shop small and local on Small Business Saturday, which is tomorrow, November 30th! Sweet Paper will be open 10am-5pm for all of your gift giving and stationery needs. 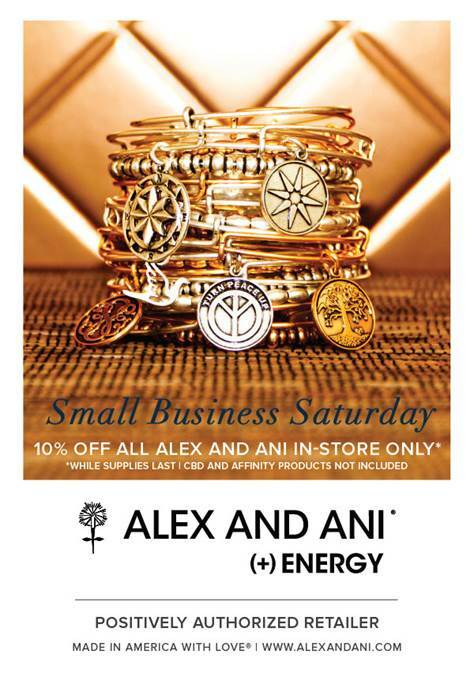 As an added bonus, Alex and Ani bangles will be 10% off, tomorrow only! Oh yeah, and it’s also Champagne Saturday, sip a little while you shop!!!!!!! !